Also available are cuts to suit Ladies, Juniors and Infants. 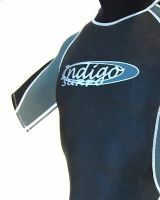 All our wetsuits feature Y.K.K. zips and tucked away on the inside zip seam is a convenient key pocket.